A collection of 3D computer generated shots. 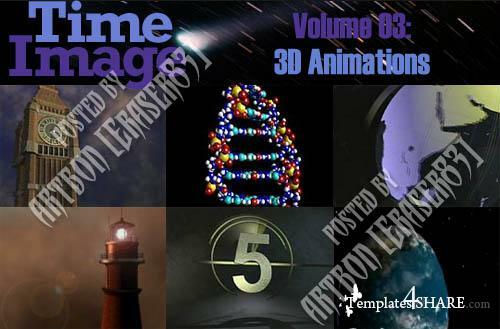 Popular shots from this volume include the globe from space, the lighthouse, and the DNA. Perfect for projects that require a more high tech look. Many of the shots in this series are loopable. Time Image provides royalty-free stock film footage for unlimited use and worldwide broadcast. Shot on film and mastered to Digital BetaCam for superior quality, the Time Image library covers virtually all subjects. This library is ideal for all DV producers of corporate videos, commercials, TV shows, music videos, and web designers ... the possibilities are as endless as the stars!